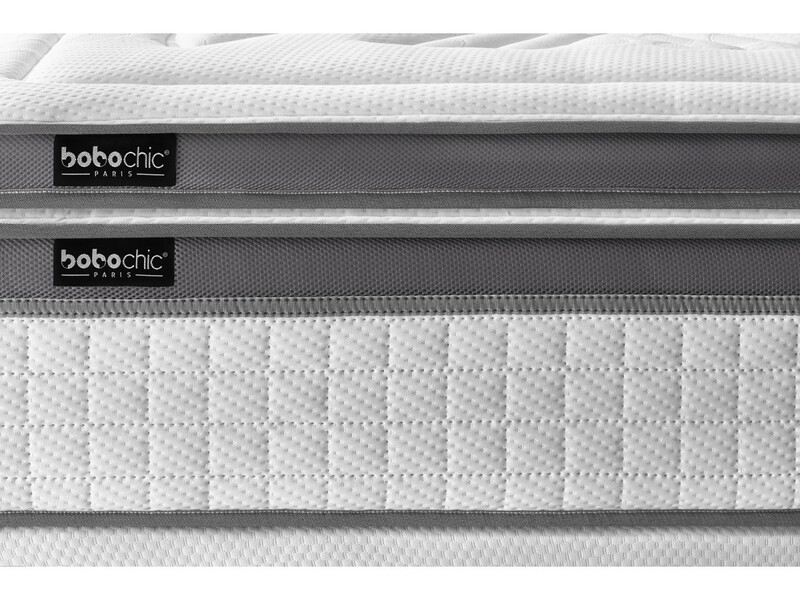 Padding of 90% Down and 10% Fibre Hollow, Stitching Vertical. 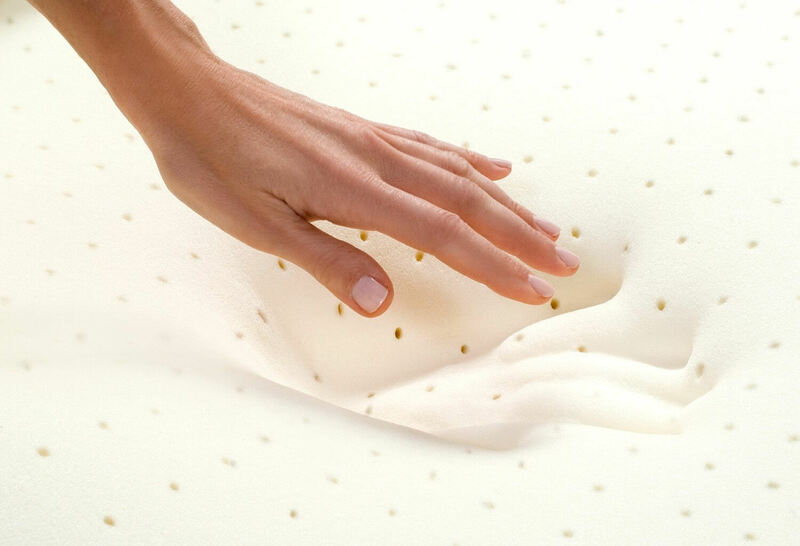 Padding of 90% Down and 10% Fibre Hollow. 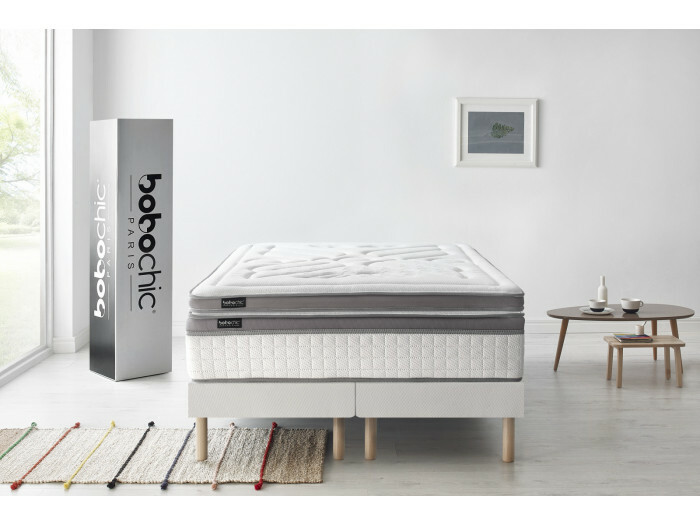 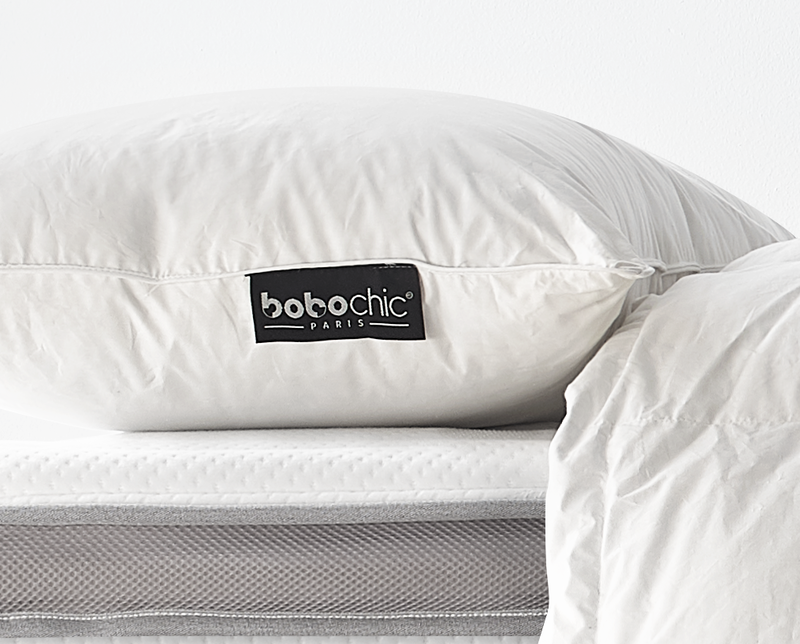 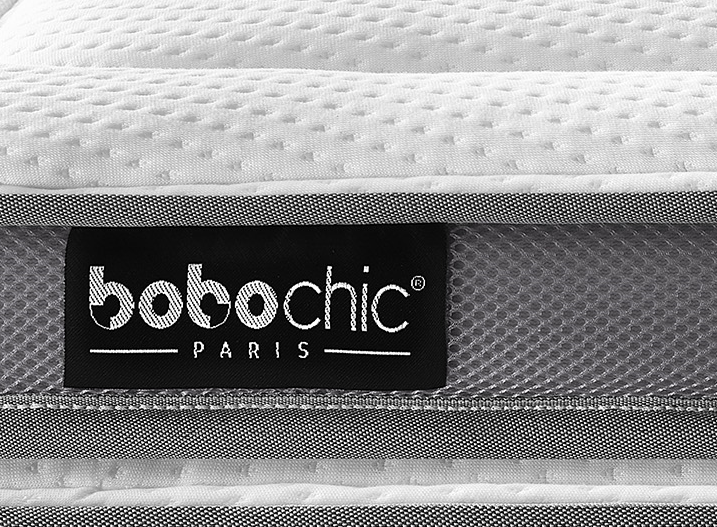 The Bobo ready-to-sleep pack has been designed for those who want a complete BOBOCHIC® pack ready to use. 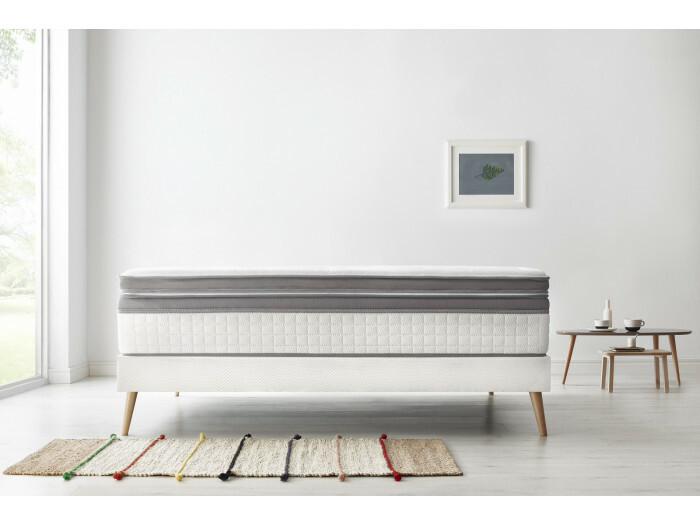 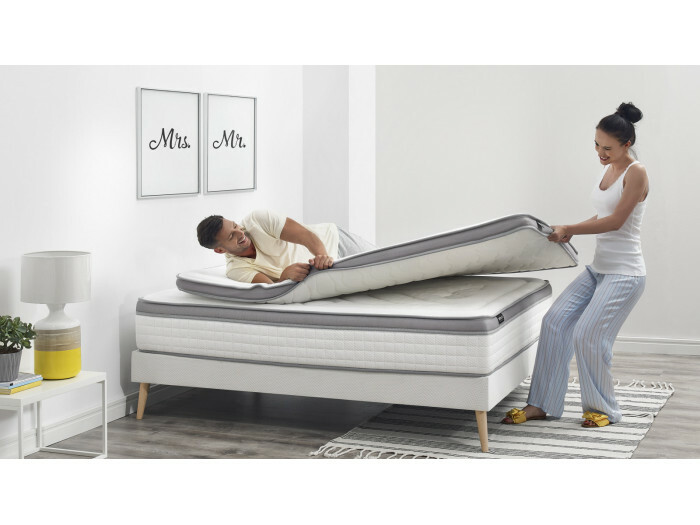 That's what's best, with a comfortable, removable and independent top-mattress. 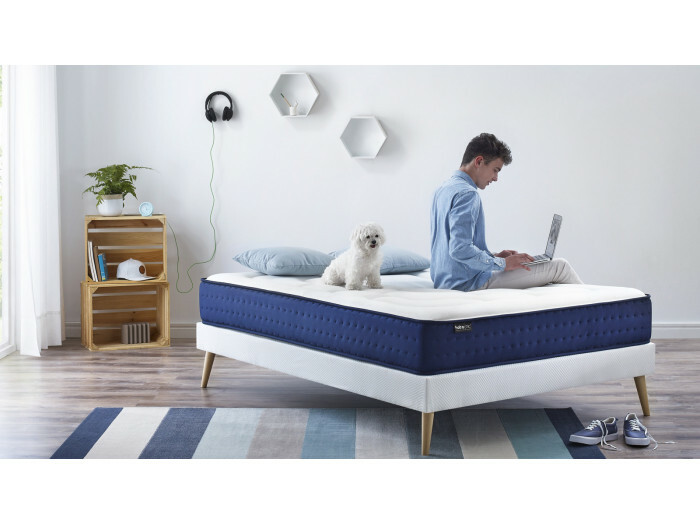 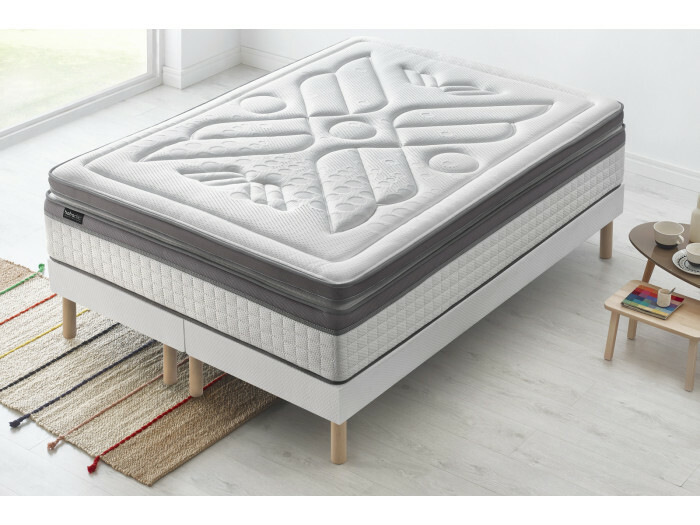 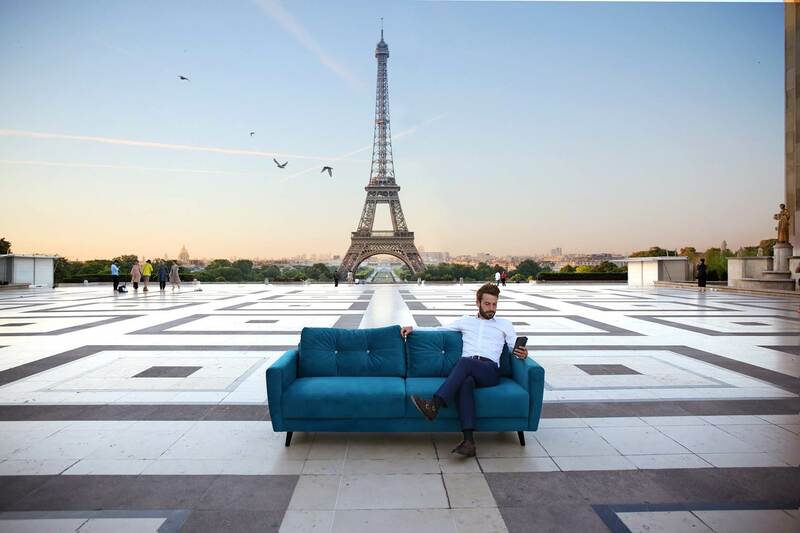 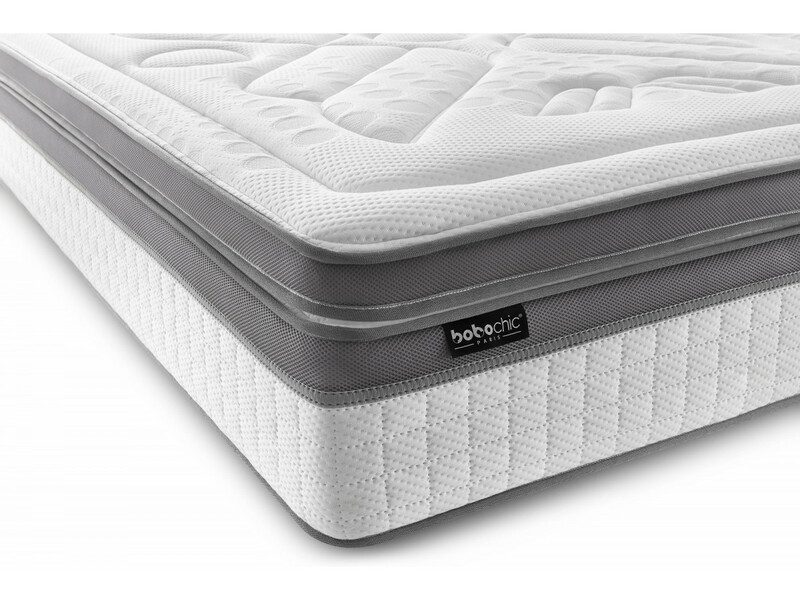 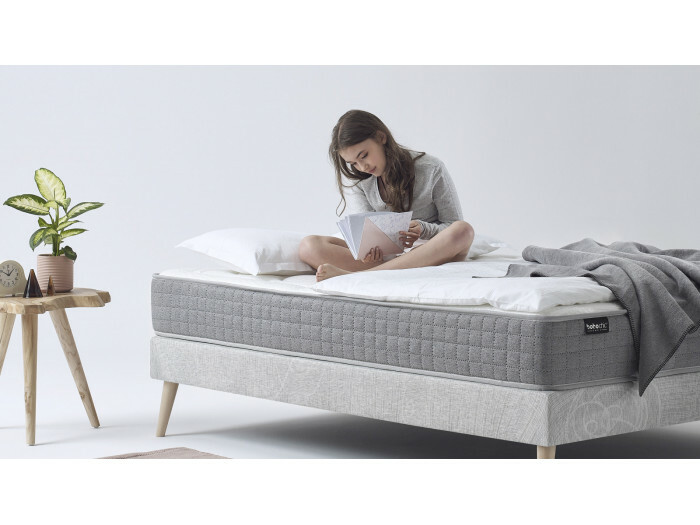 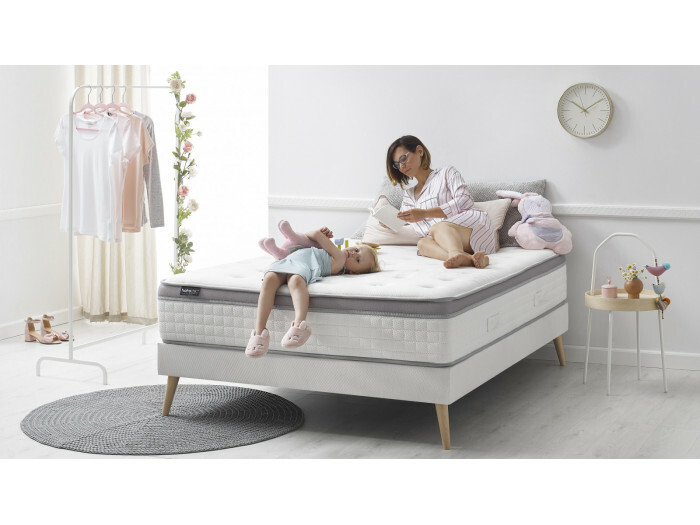 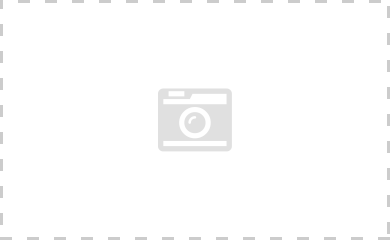 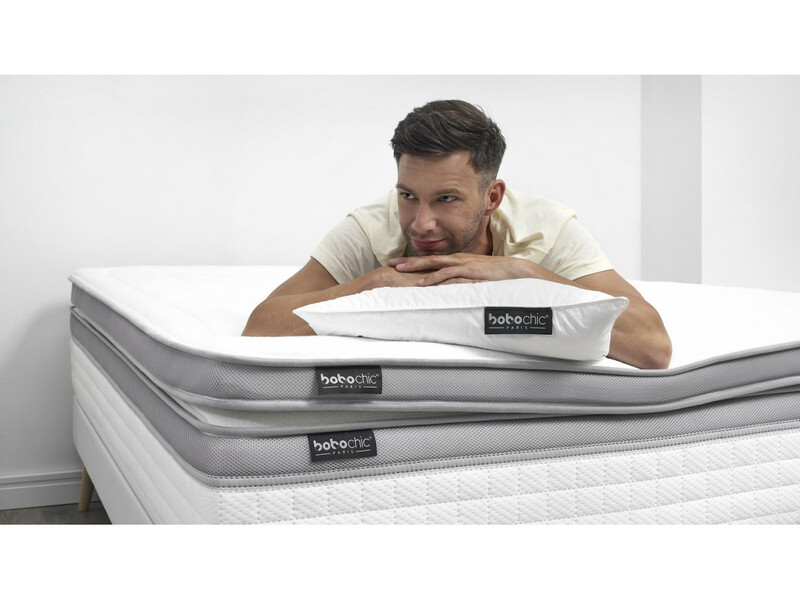 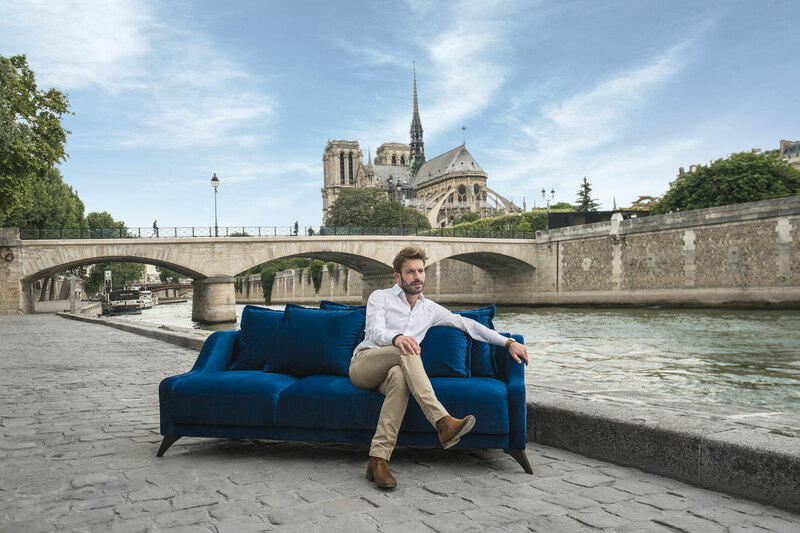 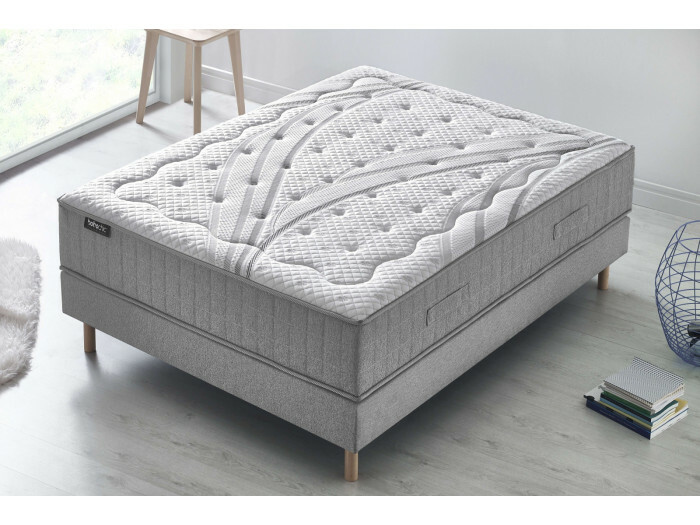 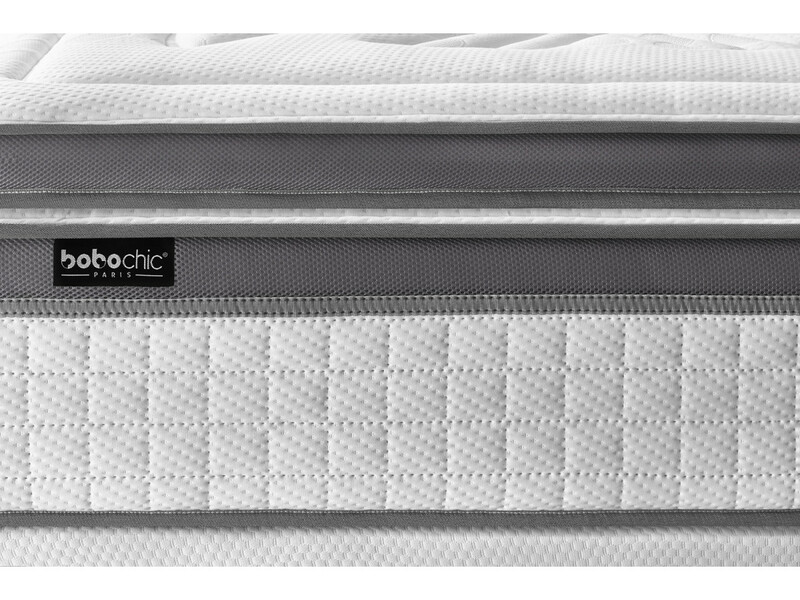 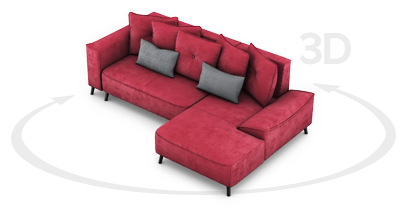 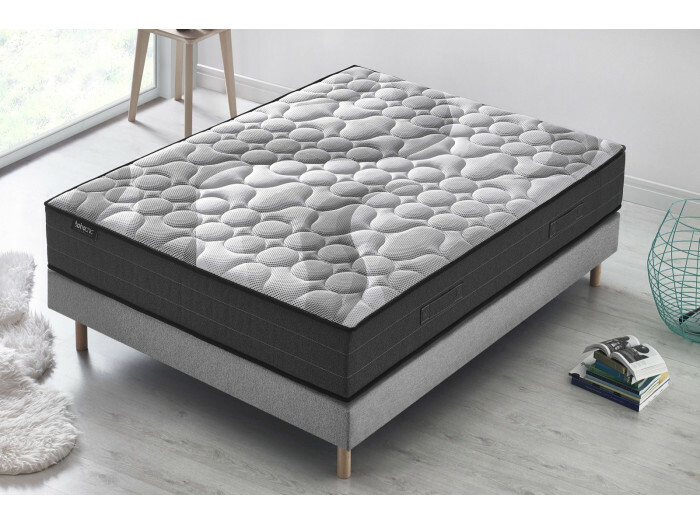 This pack is the combination of a pocket-sprung mattress with a layer of memory, a machine-washable down comforter and pillows, a high quality bed base. 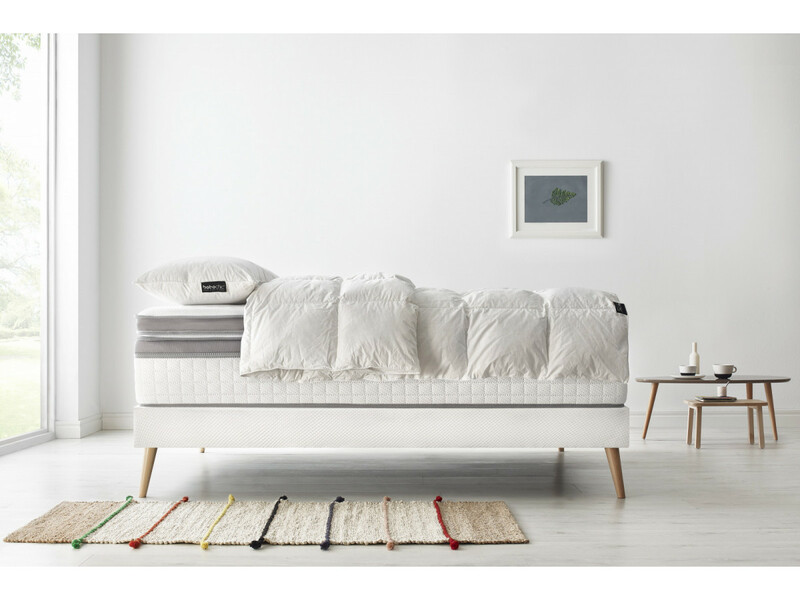 Pillows + duvets provided !